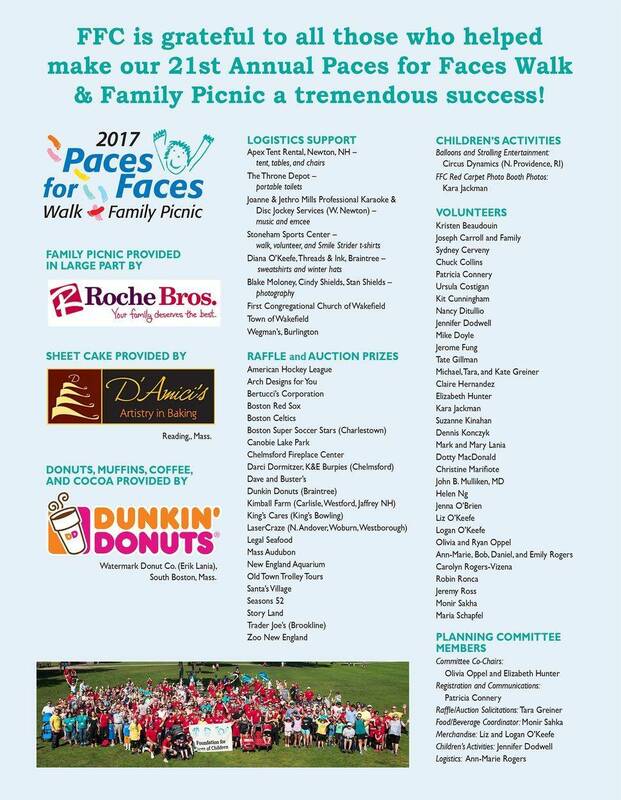 Paces for Faces Walk and Family Picnic - Thank You! please let us know. Send an email with all of the business information to walkdonations@facesofchildren.org. Foundation for Faces of Children, 21st Annual Paces for Faces, 258 Harvard Street, #367, Brookline, MA 02446.